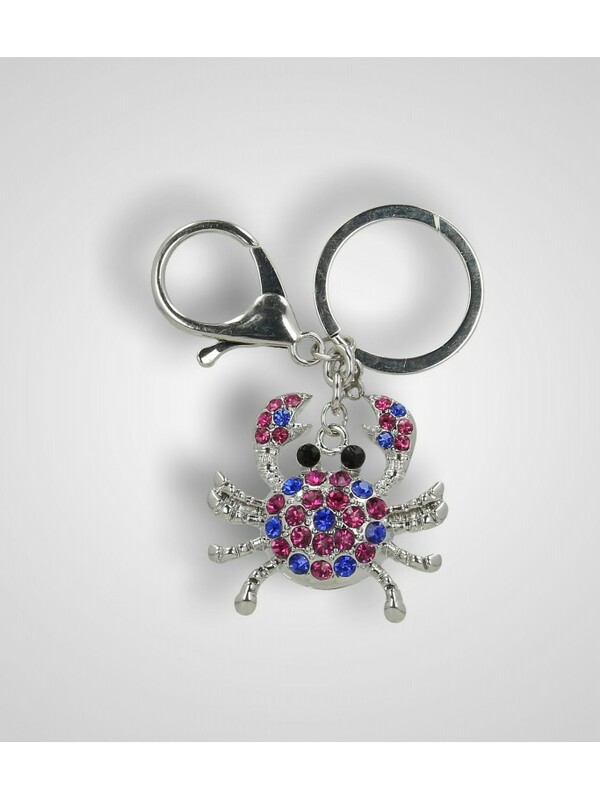 3D metal crab keychain with fuchsia and blue rhinestones. 3D metal fish keychain with fuchsia rhinestones. 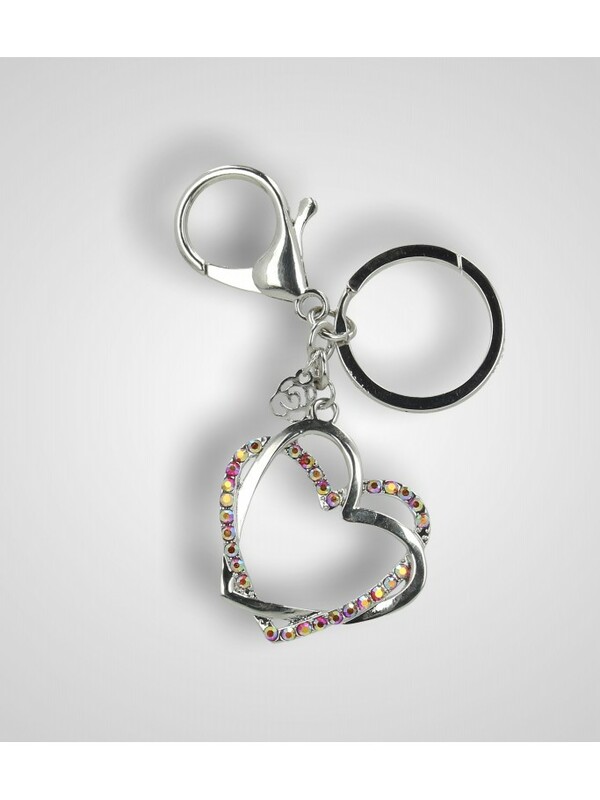 Metal keychain with 2 hearts chained with crystal rhinestones. 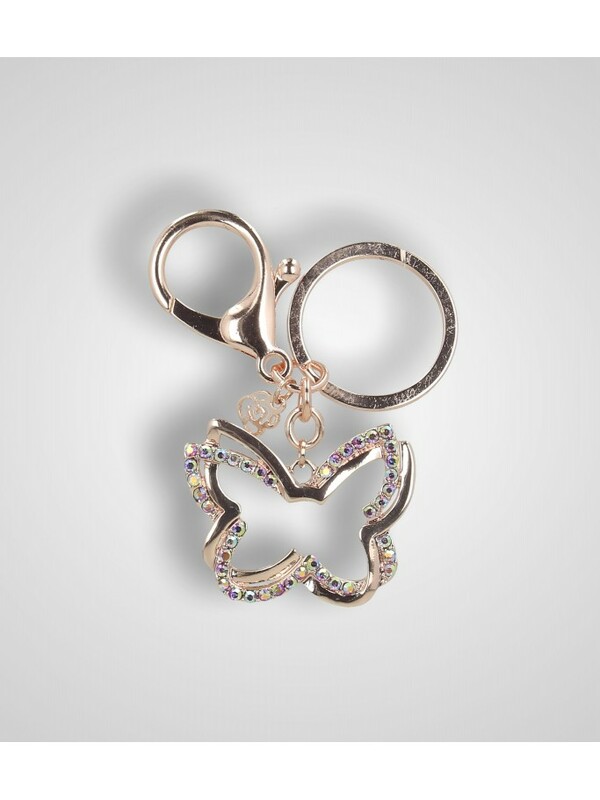 Metal keychain with 2 overlaid butterflies with crystal rhinestones. Metal keyring with 2 overlaid crosses with crystal rhinestones. 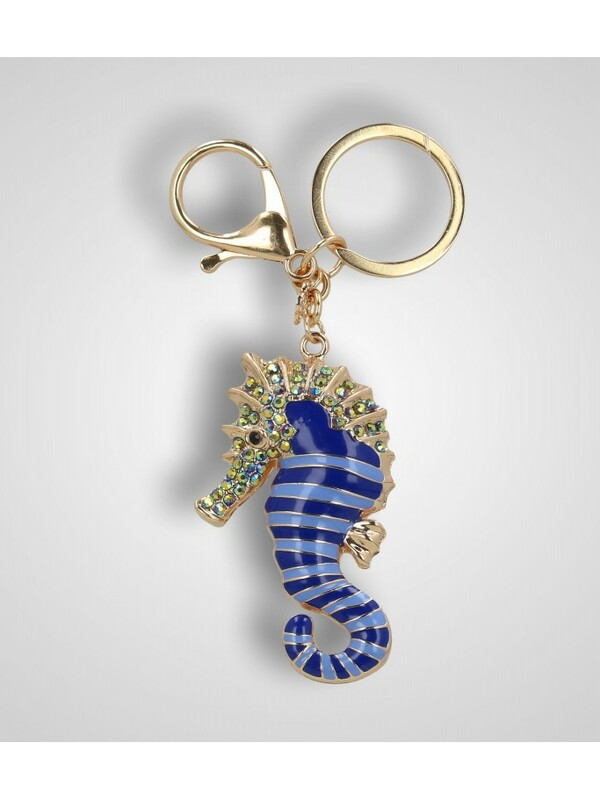 3D metal seahorse keychain with iridescent rhinestones and blue resin.